Every Saturday morning, I am greeted at my front doorstep by a log of newspaper about 6 inches in diameter advertising all the latest sales and must-have items. I have to admit that coming from the UK, this weekly delivery of generic sales pitches continues to take me off-guard even though I’ve made Canada my home for going on three years. We didn’t have this weekly onslaught of generic promotional materials and I continue to be surprised that retailers are spending their money this way. It’s very expensive and they are failing to make any personal connection because 90% of the information in those flyers is irrelevant to me. To this day, I pick up the log and take it straight to the recycling bin wondering how many other people do the same. Fortunately, not all companies are stuck in the past where marketing efforts are concerned. Starbucks offers a stark contrast to businesses that depend on outdated sales tactics. I am a big fan of Starbucks and use their mobile app all the time. When you look at companies who making a customer connection, I believe that Starbucks is on the right track. Not only are they showing leadership in engaging one-on-one with their customers, they are also connecting with social environments that appeal to their customers like Spotify, Lyft and many others. Building on these social connections, Starbucks is starting to know as much about your personal choices as the likes of Google and Amazon because you are so engaged with their app and their app is then connected with the other activities that you will want to participate in. Why does it matter that Starbucks gets to know me and my preferences? It will, quite simply, allow them to reach out to me personally and provide offers that are much more relevant to my likes, which undoubtedly, will drive me back into their locations more frequently. So is the strategy working? The proof is in the pudding: Starbucks has delivered a dramatic financial turnaround its 2015 fiscal year with comparable store sales increasing 8% globally and 9% in North America, and total sales up 4%. Howard Shultz, Starbucks’ CEO is not only credited with saying ‘you can’t cut your way to a digital transformation’ but also noted: “Our results underscore the success of the investments we continue to make in our people and business, in new beverage and food innovation and in groundbreaking technology innovation that is deepening our connection to customers everywhere." In Canada, we recently had the opportunity to talk with Montreal-based Thirdshelf, which has developed a cloud-based customer loyalty program that analyses small and mid-sized retailers’ point of sale data and automates programs that are personal and targeted. Antoine Azare, the company president says many small businesses think they know what their customers are buying or what their top selling items are, but the data tells a different story. By helping small businesses tap into the power of data analytics and make a more personal connection with customer, they’re driving sales. I believe that data is the absolutely the key for businesses to succeed in this new era of transformative business change. Sir Francis Bacon is credited with saying knowledge is power. If we agree that knowledge is power, then data is a significant source of power today. The more data you have about your business and the people you transact with; the greater value you can derive for your business. Moving beyond retail examples, there are significant opportunities for personalization in other industries, like health care. A personalized approach to medicine could not only reduce the cost associated with health care delivery (which few would disagree is unsustainable) but it can also provide a better level of care. Technology can play a role by providing doctors and nurses in hospitals with rapid access to real time patient information everywhere in a facility, helping patients return to their home sooner with remote monitoring services and delivering home health care more effectively. ALIO Health, is a good example of efficient home care delivery. The company leverages technology and automates workflow to dramatically cut the cost of home health care delivery, while improving outcomes. In Intel’s work with the Michael J. Fox Foundation, we are using wearable devices and sensors, coupled with big data analytics to improve monitoring and treatment of Parkinson’s disease. The effort underway will help researchers more accurately measure the progression of symptoms and could ultimately assist in the development of more targeted treatment for patients. There is a further opportunity for transformation in health research that technology is already driving. Consider the possibilities for researchers or doctors around the world connecting with each other through a common database or connected environment to help each other share knowledge and experience with conditions that might be rare or unheard of locally, but have been encountered in other corners of the globe. You’re opening up a world of medical experience and knowledge that can be brought back home to help patients get more accurate diagnosis and treatment. Canada is clearly in a global leadership position when it comes to genome research, as evidenced by the groundbreaking work underway at The Centre for Applied Genomics. With the continual re-investment in the technologies leveraged by researchers, we’ve reached a place where genome mapping can take place in 24 hours where it used to take months or a year just a decade ago. With the reduction in mapping time, we will have more rapid insight and the ability to generate personalized medical treatments. And without delving into the realm of science fiction, we are close to personalized drug treatments made possible from our ability to map the genome more quickly which allows doctors to better understand the impact of a specific drug on an individual instead of prescribing broad spectrum generic drugs. The next piece will be using 3D printing technology to actually ‘print’ that drug for an individual. I believe that the days of a generic, shotgun approach are a thing of the past. We are entering a very exciting time where business, health care organizations and the research community have not only the opportunity but now also have the ability to connect in a more personalized way with their customers, colleagues or patients and I believe that has real, tangible value. Is your business or organization ready to get personal? It’s time. Graham is the Country Manager for Intel Canada. In his capacity, Graham is responsible for all sales development, marketing, branding and strategic initiatives undertaken by Intel in Canada. Graham stepped into the Canadian role in April 2013 prior to this Graham held the same position within the United Kingdom. Since joining Intel in 1988, Graham has held a range of Sales, Marketing and Communication roles including CPU and Graphics marketing across EMEA, PR, brand and advertising management in UK/Nordics followed by UKI Retail sales team management. 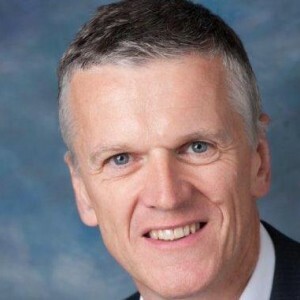 Prior to taking on the role of Canada Country Manager, Graham held the UK&I Country Manager role for seven years, setting the strategic direction for Intel’s business, building Intel’s presence in the marketplace and representing Intel on a number of Industry organisations (PITCOM, CBI) and a Board position with Intellect. Graham regularly delivered media briefings on Intel’s business performance across BBC Radio and TV, Sky TV, CNN, CNBC & Bloomberg.